Sylvain Lhôte is the director general at CEPI, the European association representing the forest fibre and paper industry. The European Union is setting new accounting rules for carbon emissions or removals from land and forestry with its new land use, land use change and forestry regulation (LULUCF). Meanwhile it is also defining sustainability criteria for the use of forest resources in the renewable energy directive. By doing so, the EU is outlining the pace of development for forest-based industries for decades to come. By failing to take a holistic approach and treat these dossiers as separate and distinct issues, the EU is slicing Europe’s bioeconomy up like a piece of salami. The European Parliament discussions on LULUCF should have been an opportunity to boost the role EU forests play in mitigating climate change. But the debate has unfortunately been polarised as one between those asking for a historic cap on the use of forest resources and those calling for a more dynamic model, representative of current levels of forest growth. Lessons can certainly be drawn from this debate. Firstly, the discussions about so-called “reference levels” would have benefited from a more robust and consensual scientific knowledge. Surprisingly, the data on the growth of EU forests and on sustainable forest management practices were at best unknown, often ignored and sometimes mistrusted. Secondly, it is quite puzzling that at the time of big data, advanced analytics and earth monitoring systems, the EU ends up arguing about “historic” levels. Thirdly, it is remarkable that LULUCF focused solely on how to “account” forest resources or control their use and yet ignored how EU policy could incentivise forest growth. Following the Parliament vote on LULUCF the attention is now being directed towards the renewable energy directive (RED II) and the sustainability criteria for biomass-based energy. Like LULUCF, the debate is showing signs of missing the big picture and is focusing narrowly on the risk of an ‘energy dash for biomass’, rather than on Europe’s bioeconomy potential. Sustainable bioenergy is part of the bioeconomy, but the bioeconomy is much more than turning wood into energy. The reality is that the use of forestry resources has always involved producing energy from residues, production side-streams and low-quality wood or post-consumer waste. Today, 60% of the energy used in the European pulp and paper industry is generated this way, making the industry the number one industrial producer and user of biomass-based energy. At the same time progress in technology means that side-streams from the tree can now be converted into more valuable biochemicals and biofuels. This ‘industry revolution’ has led to the development of biorefineries connected to pulp and paper mills adding immense value to what can be produced from the tree. The production of lignin (the material that binds the tree together and maintains its rigid structure) could supply the entire EU petrochemicals industry with a domestically-sourced and much more climate-friendly feedstock than oil or gas. 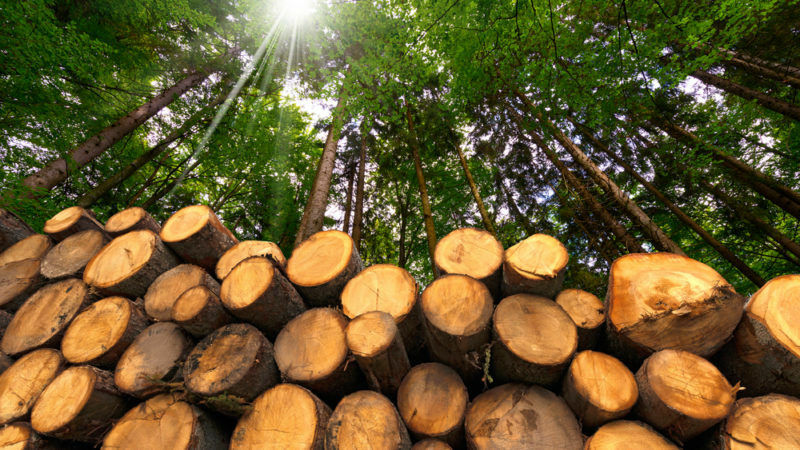 There is an economic and resource efficiency rationale for using wood as a raw material ‘first’ and as an energy resource ‘last’ rather than directly turning it into megawatts. A 2011 study by Pöyry showed that optimising the use of wood as a raw material first creates five times more added-value and seven times more jobs than burning wood solely for energy. By combining the bioeconomy and circularity this also advances the overall resource efficiency of the system. In 2011 through assessing ‘wood flows in Europe’, researchers at Hamburg University demonstrated that recycling and the use of waste and by-products from the pulp and paper industry meant that from 1m3 of wood we can create 2.38m3 of wood-based products. The climate mitigation effect of forests does not stop at the ‘tree in the ground’. It also extends over the life cycle of products that are produced from the tree itself. By substituting fossil-based products with forest-based solutions, kept in the circular economy loop, the climate mitigation effect would be boosted well above the 10% of EU greenhouse gas emissions captured today by our forests. This was the purpose of the EU’s own bioeconomy strategy it initiated in 2012. LULUCF and RED II are necessary legislation but by taking each legislative dossier one after the other we are ‘slicing like salami’ Europe’s bioeconomy and losing track of the big picture. It is high time to bring forward a new bioeconomy strategy and give Europe the ambition, vision and tools for a truly sustainable and decarbonised 21st century.